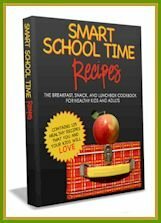 Multiple Cookbook Giveaway: A Recipe for Recipes! 9 Cookbooks – Up to 9 Winners! – Do you ever find yourself hoarding cookbooks for years and years, in hopes that they may prove useful one day? Cookbooks, foodie magazines, if it is recipe related, then I confess to an addiction. The fact that I also review cookbooks really doesn’t help. It is rare that I ever come across a cookbook that I really don’t like, but many just don’t fit my day to day style or dietary needs. So I am using our move as a wonderful excuse to clean things out and pass these unused, like-new cookbooks onto some people who can use them, which could include you! 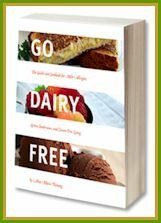 These are cookbooks I have reviewed for Go Dairy Free (all are helpful for dairy-free living, some are also vegan, multiple food allergy-friendly, gluten-free, etc. ), so I will link to my reviews for more information. Share a dairy-free recipe that you enjoy in the comments for this post and you will be entered to win your book(s) of choice! As a bonus, I will compile the “winner” recipes and feature them on Go Dairy Free with credits to you (and link to your blog if applicable). I spend so much time experimenting and posting recipes myself, but I really want to know more about the wonderful foods that you all enjoy most! This need not be a fancy recipe and you need not always be dairy-free yourself. But the recipe should be free from milk-based ingredients (vegan recipes are welcome, but eggs and meat are okay too). It can be a recipe that is already shared on your blog or otherwise … as long as it is a recipe that represents you and the foods you enjoy. Recipes for the fall or for the holiday season are encouraged (but not necessary), to keep them timely for everyone who would like to trial them! Please, no copyright infringement, and give credit where credit is due. Post the recipe in the comments section, and also note which cookbook(s) you would like to win. If you have your eye on multiple books, feel free to list them in order of preference. You can enter up to 3 times, with 3 different recipes (make sure to list each recipe in a separate comment to get an entry for each one). Since I am giving away multiple books (up to 9 winners! ), please do pass the word on to others who may find one of these cookbooks useful! You have until Wednesday, September 23rd to enter …Good luck! I’ve made the vegan lasagna at a party, now everyone requests it! I would love all the books, but the chinese book really catches my eye! love to make chicken fingers with instant potatoes instead of flour, any kind of mrs. dash, coat and fry in olive oil. love it! Mix all ingredients together. Form into patties and roll in breadcrumbs. Pan fry in tbsp of olive oil, flip after approximately 3-4 minutes on each side. Serve warm and crispy! Chuck everything in a blender (I used the magic bullet, since you can use a single person sized cup to blend in), starting of with 1/4 cup soy milk. Blend untill smooth. At the beginning, I had to stop every 10 seconds or so and give it a shake to get the blades going again. You may also have to use a spoon to remove unblended stuff from the sides. Keep adding soymilk, a little bit at a time, untill at the consistancy you like. (I used about 2/5 cup soymilk in the end). Place in a dish and refridgerate for about 1-2 hours. It doesn’t need refridgerating, it just makes it a little thicker. I decorated mine with grated (vegan) chocolate, and chocolate chips. Yum! Strawberry pink pancakes. I love these because they’re pink! Place all the pancake ingredients in a blender and blend till everythings all…blended. Then cook as you would normal pancakes. For the sauce, place the strawberries and syrup in the (rinsed out) blender and blend till smooth. * You can also add optional things like mushrooms, peppers ect. In a small saucepan, fry the onion and garlic (I use fry-lite for this), then add the chopped tomatoes and tomato puree. At this point, I usually empty the left of the tinned tomatoes in a bowl and 1/5 fill the tin with water, swish it around and add it to the pan. Bring to the boil, stirring, then turn down to a simmer. Add extra vegetables at this point. If the mixture becomes too thick, add some water and wait untill it’s at the desired consistancy. I have to do this a lot while I wait for other bits to finish cooking. After about 10 minutes, it’s done! But it can be left simmering for as long as the rest of the meal takes to cook. This is great giveaway and I love the site!!!!! some great receipts in these books and I could use them!!!!! I need help in cooking and think this will help a lot!!!!! The Whole food site has a whole section for dairy-free. Fresh salsa can be used on all sorts of foods to give it a push toward a big oh-yummy sigh. Here is the site addie for fresh salsa from Whole foods. My newest favorite food is OATMEAL. My favorite dinner is grilled Vegetables. Grill until grill marks can be seen. Preheat oven to 350F. Mix oats, sesame and pumpkin seeds, salt, cinnamon, and ginger. In another bowl, mix butter, water, vanilla, maple syrup. Mix wet and dry ingredients together. Spread in 3 baking pans. Bake 30 minutes, turning several times during baking. 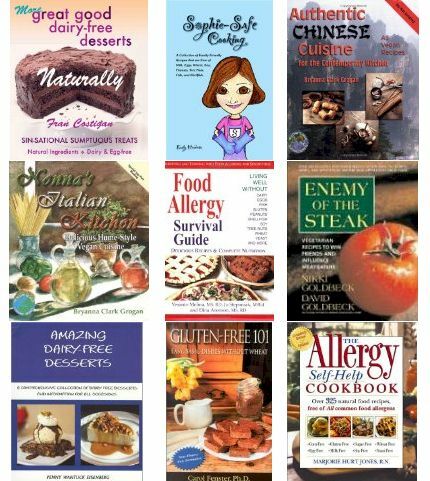 I am interested in the following books: Food Allergy Survival, Allergy Self-Help, Sophie Safe Cooking, More Great Good Dairy-Free Desserts, Authentic Chinese Cuisine, Nonna’s Italian Kitchen. Place eggplant halves, cut side down on a well-oiled baking sheet. Roast 45 minutes at 375F until eggplant is soft. Scoop pulp out and let drain. Transfer eggplant to blender. Add remaining ingredients and blend. Place salmon in a baking dish. Pour olive oil over each fillet and sprinkle curry, salt and pepper on. Bake at 450F for 20 minutes. Saute onions in olive oil 10 minutes or until soft. Add apples, dates, juice and curry powder. Cook 5 minutes. Add vinegar and cook another 5 minutes. Sorry, in my first granola recipe, you can use olive oil to substitute for the butter to make it dairy-free. Put chili sauce and grape jelly in a pan on low to medium heat. Form the hamburger into meatball shapes and add to pan. Cover and cook for about 30 minutes or until meatballs are cooked thoroughly. Serve over white rice. So many great recipes! Just got my blog back–will go through and find a fave so I can enter! As you know, everything on my blog is dairy free and egg free, so it was tough choice! I just went with some favorites. The first up are these Chocolate Peanut Butter Fudgies (the applesauce version). Yummmmm. I grew upe eating chicken wings at home. I love this recipe. Ham. sweet potatoes and maple syrup in a slow cooker is magnificent! My first pick of the cookbooks would be Enemy of the Steak, but I also wouldn’t mind having either of the dessert books. I don’t remember where I originally got this – my version’s on a much-loved blue post-it. I really need to transfer it somewhere safer! add egg yolks, vanilla/alcohol and chocolate, mix until smooth & consistent. chill – allow 2-3 hours or be prepared for a gooey mess. roll into balls, then you can either melt more chocolate and dip them, or roll them in cocoa powder. I like to roll them in a cocoa powder/cinnamon mixture. It can be helpful to chill the freshly rolled balls again, but not entirely necessary. I’d love either of the dairy free dessert cookbooks, or the Authentic Chinese Cuisine. Put all the ingredients with 10 cups of water into a large soup pot over medium head, bring to boil, and then reduce heat to simmer. Stir to break up all the clumps of stuffing and mix well. Let the soup simmer for about 1 1/2 hours. Add the remaining 1 1/2 cups of cold water and let simmer for 10 more minutes. Taste for salt and adjust the flavor if necessary. Serve hot. This recipe tastes the best when everything is fresh from the garden. In a food processor, process the sun dried tomatoes, garlic cloves and walnuts. While processing drizzle the olive oil, and keep processing until you get a relatively smooth paste. If you don’t own a food processor, you can chop everything with a knife or with a pestle and mortar. With a sharp knife, open up the chicken breast, to get a thinner and bigger surface. Make sure the meat stays in one piece. When finished flattening the breast, make some diagonal cuts on the side with no skin. Season the meat with salt, pepper and chilli. When finished, rub some of the paste inside the cuts, also make sure you rub some of it under the skin. Roll the breast into a tight roll and tie it with thread, or secure it with tooth picks. Repeat the whole thing with the other breast. Put the breasts in a bowl, cover it and leave in the fridge over night. Heat the oven to medium high heat. Put the chicken breasts in a cooking bag or wrap them in an aluminium foil. Bake them in the oven for 40 minutes. Those are great in a sandwich. here’s my second try- and i dont really care about which one- since i would love to get either one- im a cookbood junky!!!! Turn the oven to a high heat. When hot enough, put in the eggplant and let them toast for an hour or until soft. Meanwhile make the tahini. Finely chop in a food processor herbs with garlic. Mix in a bowl en equal amount of tahini and water. Add the lemon juice, chopped parsley and garlic and salt with pepper. Taste the tahini and add seasoning if needed. You can serve the tahini as it is, garnishing with olive oil, chili and parsley. When the eggplants are cool, empty it with a spoon and finely chop it. Mix it with the tahini. To serve it as a spread or a salad, garnish with olive oil, parsley and chili.The other way to serve this dish, requires a few eggplants. while hot, cut the eggplants lengthwise and open it a bit with your fingers. Drizzle the tahini into the opening, add some olive oil and sesame seeds. Serve hot! In a big bowl mix soy and sweet chilli sauce. Add the chicken wings and rub them with the sauce. Leave them to marinade in the fridge for night or outside for a few hours. Rinse the wheat, drain it and leave it to soak in cold water, also for a few hours. Turn on the oven to medium heat. Oil the baking dish with the olive oil. Chop the parsley and the onion and mix it with the crushed tomatoes. Drain the wheat and mix it with the tomatoes also. Season with a little salt and pepper. Spread the wheat in the oiled backing dish and top it with the marinaded chicken wings. Add half of the marinade. Cover with thin foil and put in the oven for an hour. After an hour uncover the dish, shake it a bit and put it back in the oven for another hour. In the middle of the second hour, turn the wings over so they’ll get colour from both sides. Garnish with fresh chopped parsley. Serve hot. Pingback: One Frugal Foodie » Winners of the Multiple Cookbook Giveaway!